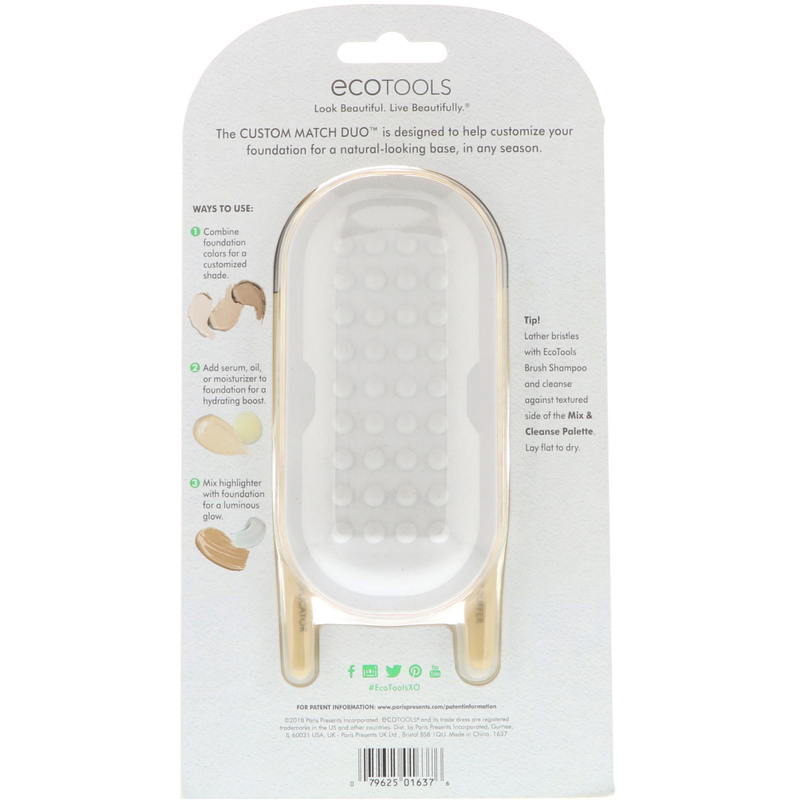 EcoTools, Custom Match Duo, 3 шт. 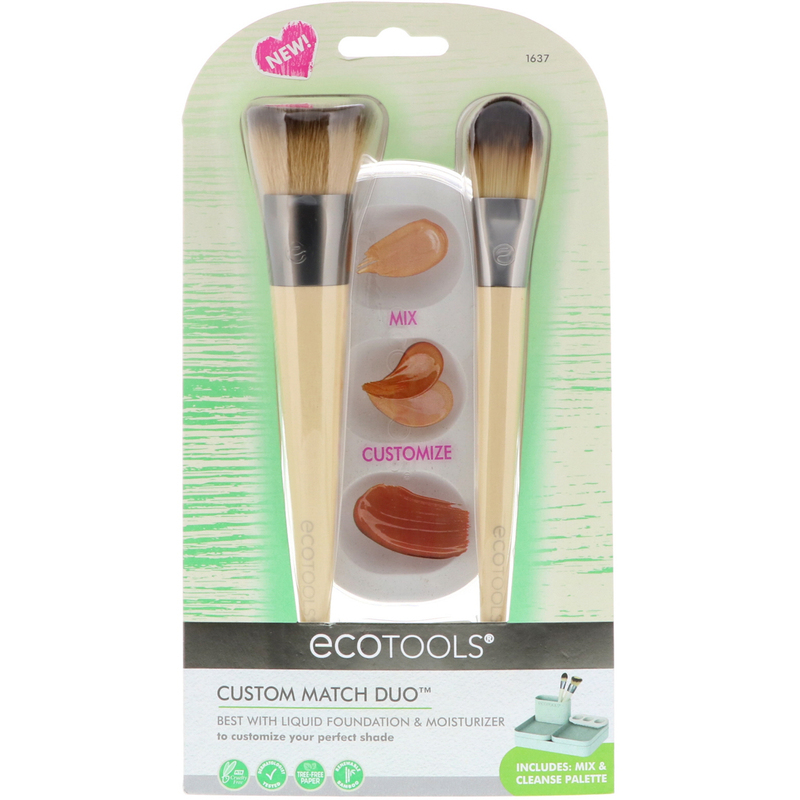 The Custom Match Duo is designed to help customize your foundation for natural-looking base, in any season. Combine foundation colors for a customized shade. Add serum, oil, or moisturizer to foundation for a hydrating boost. Mix highlighter with foundation for a luminous glow. 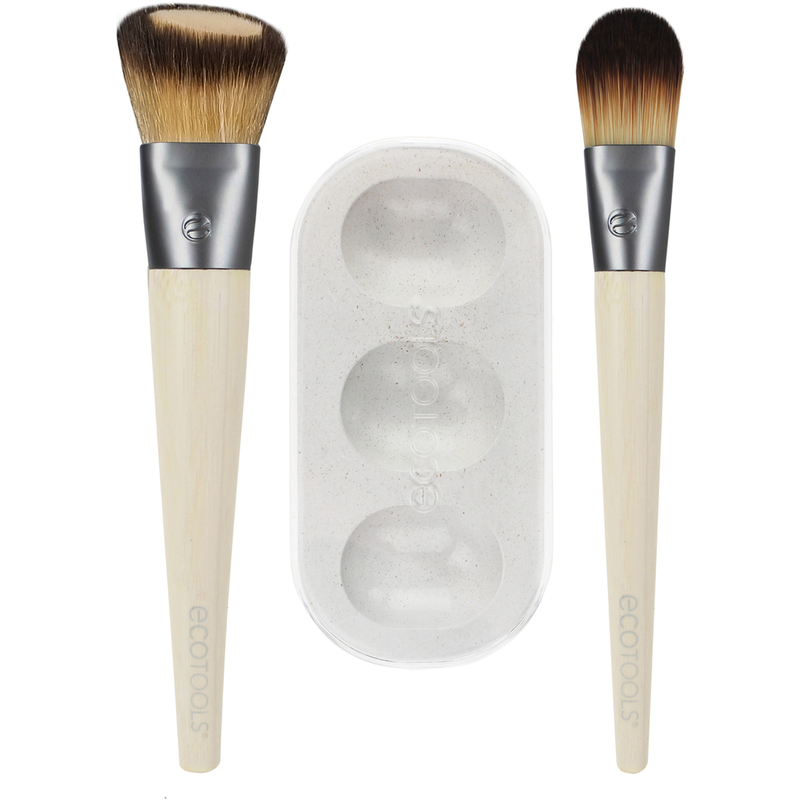 Lather bristles with EcoTools Brush Shampoo and cleanse against texture side of the Mix & Cleanse Palette. Lay flat to dry.